A design studio founded by Ferdinand Dervieux, Jérémie Lasnier and Louis Eveillard in Paris. Un studio de design créé par Ferdinand Dervieux, Jérémie Lasnier et Louis Eveillard à Paris. 2 prix au VR jam d'Oculus! 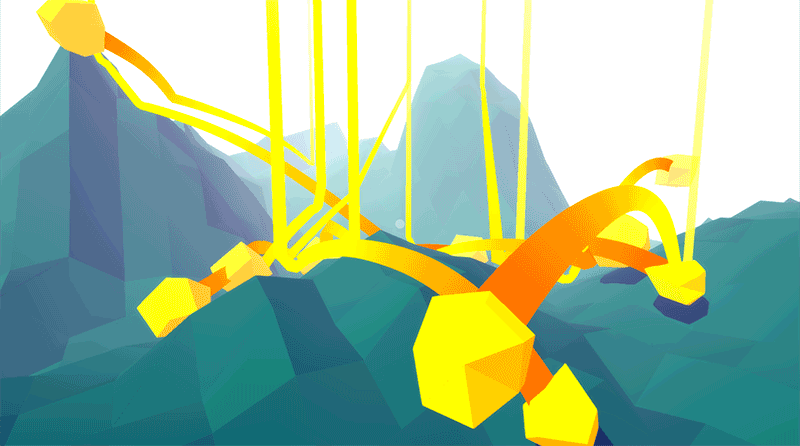 Two new projects of Panoptic Lab have won gold and silver prizes at this year's Oculus VR jam! We are incredibly excited to announce that two projects made at Panoptic Lab – Along the Trail andPanopticon – have respectively received a gold and a silver prize during the Oculus VR jam 2015! A third project made by one of our co-founder – Drift – earned another gold prize. 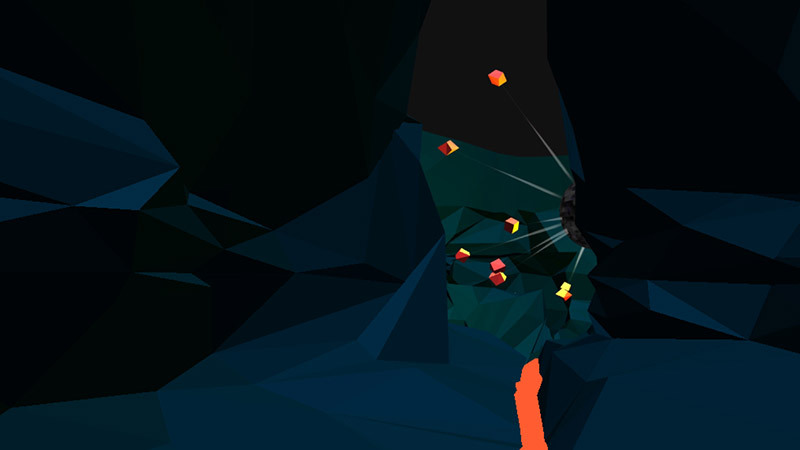 For the past few months, we've been working on two new projects for the Oculus VR jam 2015. This year's jam, contrary to the last, took place on Samsung Gear VR. The Gear VR is a consumer-grade VR headset available in several countries at major retail locations. It is a placeholder for a Galaxy Note 4 smartphone whose screen becomes the Gear VR's screen when placed inside. This has many implications, the most important being that the VR application have to accommodate a smartphone's display and performance capabilities. Thus, the creation and realization of Panopticon and Along the Trail was a back and forth between concept, implementation and user feedbacks. A critical aspect of a successful experience is the consistent framerate of 60fps: it is much more important to keep a steady framerate than it is to add beautiful or detailed shapes, textures or effects. Before the VR jam, we experimented a bit with the Gear VR for another project, Serendipity. This helped us start our projects with a clearer goal and elaborate our projects with the platform's constraints in mind. Along the Trail is a project that evolved from Serendipity. Serendipity is an (unreleased) application whose purpose is to gather and display informations stored in various online profiles through the generation of data-islands. The result is a look at a person's online activity from various angles, like physical activity trackers' data, Twitter messages and Facebook friends. In Along the Trail, we focused on Facebook's data and put a larger emphasis on materializing the traces left by social interactions with others. Nowadays, the digital data and meta-data produced by our online presence is largely invisible and difficult to visualize. At the same time, current computer systems are unable to forget and reinterpret memories the way the humain brain can. In this context, Along the Trail helps a Facebook account holder get a better picture of the kind of data that stays in the network, but it also serves as a getaway to forgotten memories and friends. Depending on the way one uses Facebook and the kind of control one has on his/her data, the experience can be appealing, enjoyable and/or eye-opening. Along the Trail is a guided experience: the viewer stays on a pre-defined path that crosses four different landscapes. Those landscapes are increasingly tight and darker as the data gets more personal and intimate. In each landscape, a narrator introduces you to your surroundings and shows you around. You can then move forward or interact with the elements surrounding you to extract the data they contain. The experience lasts between 5 to 7 minutes. Indeed, in our trials, we've found out that newcomers to VR usually have trouble enjoying an experience longer than that (usually because of sea sickness, or eye fatigue). At the end, a final commentary from the narrator helps stimulate reflection and gives a better understanding of underlying issues to big data and the explosion of computer-mediated communications. Along the Trail was created with Aby Batti, whose expertise in 3d modelling and out-of-the-box ideas were immensely precious in getting this project to where it is. Panopticon is a game played with a whistle. Your role is to oversee all the inmates around you at once from the single viewpoint of a central guarding tower in the middle of a panopticon-inspired prison architecture. At random intervals, inmates will try to escape their cells. To do so, they must first sawn through the bars on their cell's window. This action takes some time and makes some noise, just enough for the player to use this as an indicator that one of them is trying to leave. When finding out the right prisoner, the player uses her/his voice or whistle to trigger the closing mechanism placed on the cell he is aiming at. If the prisoner was trying to escape, he won't be able to anymore and will stay stuck in isolation inside his cell. However, if the player isn't able to prevent a prisoner from escaping, he will lose that game and end up in the most uncomfortable situation. The game starts and end without any controller input: everything is activated by voice or sound. Instead of learning new controls and using buttons, this game relies on intuitive behavior and real-life actions for the player to stay immersed during the whole experience. Another vital aspect of this game is the localisation of the sound produced by the bars being sawn off. This sound provides precious cues to the player about where the action is. As the player turns his head in the direction of the prisoner that is escaping, the sound will get louder and more frontal. When the sound is the loudest, the player needs to look carefully to find the missing bars and the prisoner trying to escape. In Panopticon, both senses are really necessary and complementary. One last aspect that is innovative in Panopticon is the visual langage. Almost all of the game is made with cut and paste watercolors and engravings. Each cell is composed of a combination of hand-placed elements where each prisoner has his/her own life and actions: he/she can read a book, lay in bed, make some exercices, hang his/her clothes, etc. This creates a really peculiar atmosphere with lots of details to look at. The concept and the architecture of Panopticon is based on the eponymous design by the XIXth century English philosopher Jeremy Bentham, where many individuals separated from one another can be viewed by a single invisible person in a central tower. Later, the french philosopher Michel Foucault used it as a metaphor for systems of social control and normalization. This interpretation is all the more relevant today, as technology has become an enabler of a mass surveillance happening both at the government level and at the personal level: a social media network is like a Panopticon in which users assume they are being watched and judged on the basis of the content they share, while also acting as the warden of everybody else. Panopticon was made with Julia Spiers, who created all the illustrations and painstakingly placed all of them in each of the 200 cells. She also participated in writing the gameplay and recording the sounds. Drift is a project made by Ferdinand Dervieux and Aby Batti in parallel to Panopticon and Along the Trail. In Drift, you are the bullet travelling inside a univers and looking for your target. While the concept seems simple, the stunning visual style and incredible attention to details that was put in the level design brings a lot of richness to the game. Copyright © 2015 Panoptic Lab, All rights reserved.